We all talk about working together in clubs and clusters and the benefits which this brings in the successful completion of projects and in developing fellowship. 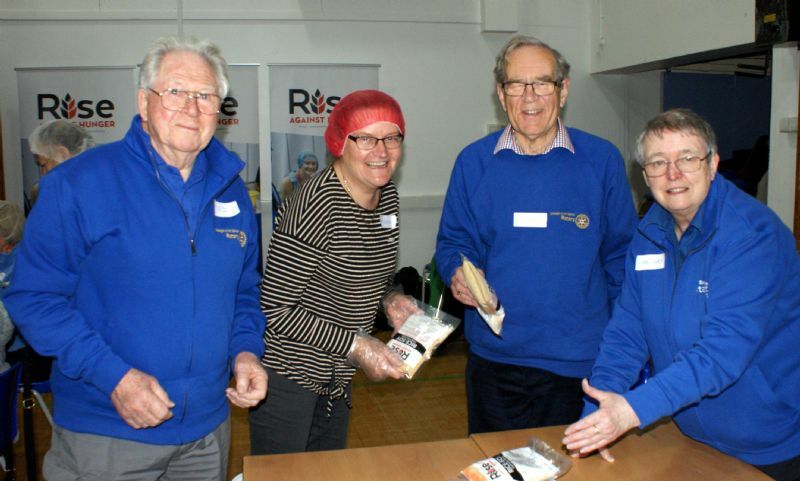 Well, on Saturday April 13th, we took this to another level when five Rotarians from District 1285 travelled to Cartmel in the Lake District to support the meal pack organised by Grange over Sands Rotary Club in District 1190. This provided opportunities to network and swap ideas with our northern colleagues. The picture shows Grange president Nigel with Rotarians from Grange, Accrington & Eccles.